With close neighbors Ohio and Pennsylvania home to over 130,000 Amish, you’d think a few people with an itch to move would have looked south or east and considered the Mountain State. There are some Amish spots on the WV map, but not many–three to be exact. West Virginia is just not as attractive to Amish for whatever reason, especially compared to places like New York or Kentucky, two states where a lot of those potential migrants tend to go. Despite its small population today, Amish first settled in the state 150 years ago. For close to a hundred years, a small Amish presence could be found in Preston County (which was considered part of the still-existing Oakland, Maryland settlement). West Virginia did see a couple of new Amish locations arise in the mid-2000s to add to its oldest community, founded in 1996. 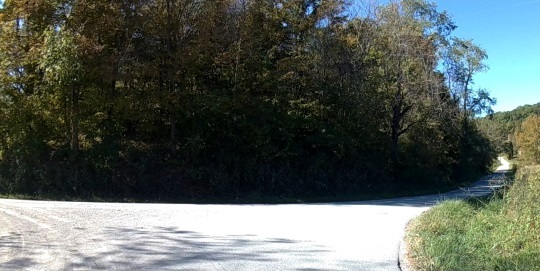 Tom Geist recently visited that community, at Letart (Mason County), on the Ohio border. I tried to find this place one time, and ended up getting lost, and I’m usually pretty good at finding Amish communities 🙂 So I applaud Tom for his efforts. Apparently it wasn’t easy for him either. He’s got just a few photos today of a store he visited in this small settlement. The other West Virginia Amish communities are at Palestine in Wirt County (least populous county in the state), and Forest Hill/Hinton in Summers County (southern end of the state, just touching Virginia). All of West Virginia’s settlements are one church district in size. Tom writes: It was a little difficult for me finding Joseph & Katie Peachey’s store in Letart. Maybe it was just the direction I came from, or the main fact that I didn’t have an address for the place before getting there. 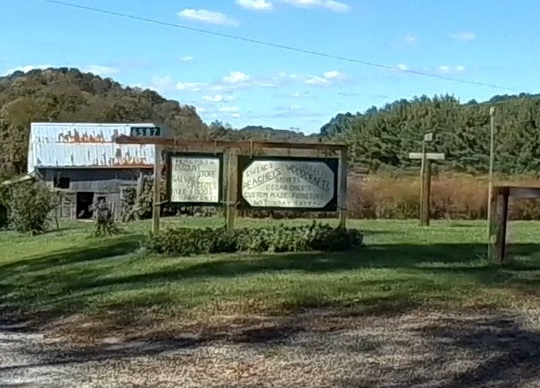 It is located at 6587 Lieving Rd…Letart, WV (West Columbia). They sell “Bent N Dent” salvage items, some bulk foods, and some wood crafts. It was not a large store but worth the time to stop if you are in the area. Joe (Joseph) writes for the Amish newspaper Die Botschaft and a relative of his writes for the other Amish paper, The Budget. So that’s it–short but sweet. I don’t know how many readers will make it here, but thanks to Tom for at least a glimpse of another spot on the Amish map. I might have to try and pay a visit to the one in Summers Co. It shouldn’t be too far away. Maybe in the fall when the leaves start to turn. Hmmmm, ok, I looked at the website for Hinton, W. Va., which makes the area look kind of interesting. They have an Amtrak depot, which probably makes it more attractive to the Amish. However, nowhere on the site does it mention an Amish settlement in the area, which tells me it is either (1) very small, or (2) pretty darn isolated, or (3) both. Even the relatively small settlements at Union Grove NC and Nathalie, Va., get some publicity, so this one must be fairly private. Any more specific data on the location? I just don’t think this is a very big community, and possibly a lot smaller than the two you mention. Post addresses listed are Forest Hill and Ballard, and the community should be around HC 65 (I guess that is a local highway or road), though I don’t have any info on businesses. I’ll report back if I find anything. Should be a nice drive in any case. 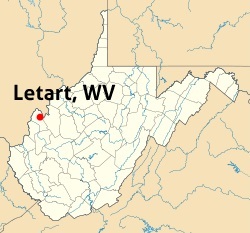 Letart, WV (West Columbia). : when to go? I leave in Hurricane since a month and my sister came to visit us. We would really love to meet them, since we come fe the area where Amish community started!…and speak this dialect (heritage of our grandmother). Ps: I love the website, I immediately subscribed! Hi Caroline, thanks for joining us! I don’t know the hours here unfortunately…maybe Tom Geist who visited this community would know. Generally speaking, Amish businesses are always closed on Sundays. Sometimes Amish businesses may have a “closed” day during the week as well; it depends. But, you’re usually going to be alright if you go to an Amish store during normal business hours (8-5 let’s say). I don’t have anything to add to what Erik just said. I was only at the place one time, during the regular business day, and didn’t think I would be going back, so didn’t ask their hours of operation. Thanks Tom and Erik for that. I’m curious, Erik — are there other tucked-out-of-the-way communities that you’d like someone to check out and “report back” on? If there are some in areas that I roam around in from time to time, I’d love to take a look and share what I see. Don, nothing comes immediately to mind, but in your general neck of the woods, I’d say I haven’t really seen much of Amish communities in Illinois outside of Arthur and Macomb. There are a lot of places in Missouri as well, I just don’t know a whole lot about the many smaller 1 and 2 district settlements there. So, Erik, are these communities that I would find listed on this site under the states, or are there other communities beside these? Also, my neck of the woods would also include sections of AR since I/we travel that way visiting family periodically. Don the link here is a pretty much full list of Amish communities, you can also find quite a few under the Amish State Guide section, if you just click on the state you’re interested in. I didn’t describe every community in those guides, but do mention a number of smaller ones in some cases. At one time several years ago, I read in the “Budget” news from Flat Rock, Illinois. I believe that’s in Crawford County. No idea if it still exists as a settlement. It does Carol, or at least did as of last year. Illinois has something like 16 or 17 settlements of just 1 or 2 districts, and then there’s Arthur which is bigger than all the rest combined (29 districts). I think Macomb used to be 3 districts about 10 years ago, but has since shrunk. Finding an out-of-the-way Amish community is like finding a gem in a haystack…an unexpected treasure, I’m sure! There’s no way I could do it driving alone, I’d need a lookout, or to BE a lookout while someone else drove. I’m in northeastern IL, not far from the WI border, and one of these days I hope to get up there to visit the Amish communities there. I don’t have GPS, but wonder if that would be better when seeking out these out of the way communities? At least it might get me to the general area. 🙂 I’m thinking late Fall (leaves off the trees, better to see buildings & lack of power lines) might be a good time to explore. As Erik noted above, the address for the business in the picture is It is located at 6587 Lieving Rd.Letart, WV (West Columbia). The reason I added the “West Columbia” part is because Joe told me technically that is where they are at, although they are counted among the Letart Amish community. For Don Burke, and anyone interested in finding more smaller community Amish, I am going to suggest finding an Amish family that subscribes to the Die Botschaft Amish newspaper and see if you can get a old copy from them, or at least check out the last page of it that lists communities. There is also “The Budget” newspaper but it lists Mennonite communities along with the Amish. (The Mennonite communities are not always clearly marked) The Botschaft lists Old Order Amish and Old Order Mennonites…sometimes referred to as Horse and Buggy Mennonites. For those REALLY into going crazy and meeting a lot of Amish, I would suggest purchasing a Amish Directory for the state you plan to visit. It will list names and address’s. These books run around $20-$30 and might be found in some of the Amish variety stores. Or again, if you know where you are going, and are friends with some Amish, see if you can look at their state directory for this info. One note on this… while I have found Swartzentruber Amish listed in these directory’s you probably will not find the Swiss Amish. AmishAmerica is really a great starting point to asking questions as to where to meet the Amish. There are lots of travelers on here more seasoned than me. This is not a ‘real time’ chat place so it could take you some time to get a response, so plan ahead.